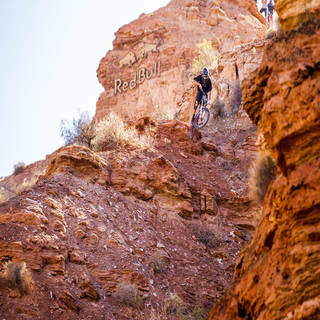 This year's Red Bull Rampage lived up to its reputation. 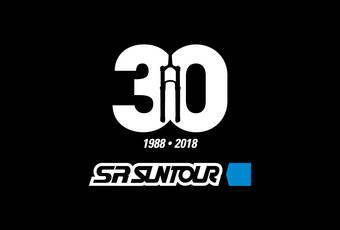 And SR Suntour's WERX big mountain specialists James Doerfling and Garett Buehler were right in the middle of it, with RUX double-crown forks mounted to their rides. 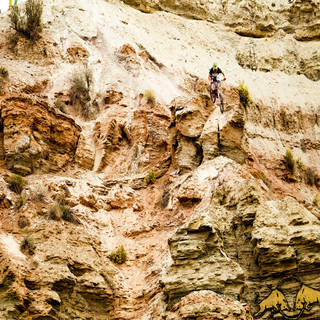 This year's Red Bull Rampage lived up to its reputation. 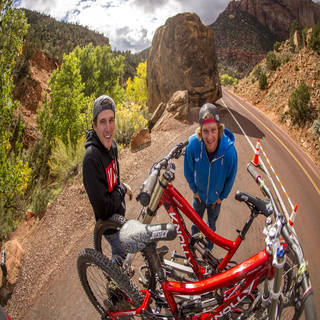 And SR Suntour's WERX big mountain specialists James Doerfling and Garett Buehler were right in the middle of it, with RUX double-crown forks mounted to their rides. Buehler qualified for Sunday's main contest in 6th while Doerfling did not need to qualify. Each rider had two runs, with the better score counting for the standings. James Doerfling had prepared a super-steep, exposed and technical line in the upper part but lost control of his bike seconds after the start of his run when the front wheel washed away. He could avoid tumbling down the steep face, but his first run was ruined. Garett Buehler fared better, opting for a more flowing line in the upper part, muscling a couple of gaps on his way down the mountainside and finishing things off with a huge transfer to the remote rock face in the finish area. This put him in 9th place after the first run. As the winds were already getting stronger, James Doerfling gave it a second try, and this time he managed to ride his exposed line, take the sender drop and throw in a huge backflip on the last booter. This clean run would have taken him into the top10. 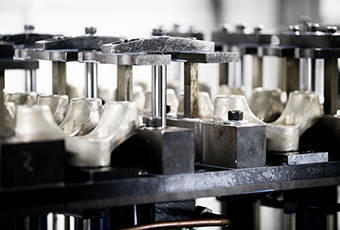 But as the rising winds led to an early ending of the contest, the result of the second run did not count and Doerfling was left without a score. On a positive note, SR Suntour's RUX forks withstood the test of Utah's gnarly terrain and the Red Bull Rampage's awe inspiring dimensions. Watch the full Flickr Set here!